This 36" square lunch room table is made with reinforced legs. Eat meals, conduct therapy or play games, this table is very versatile. Perfect for an activity room or dining area. From the GlobalCARE series, this 36" lunchroom table is very well supported underneath the durable top. 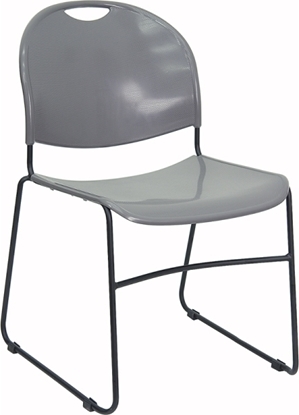 A good choice for your dining area or activity center. Designed for nursing homes and senior living facilities, this table is also wheelchair accessible. 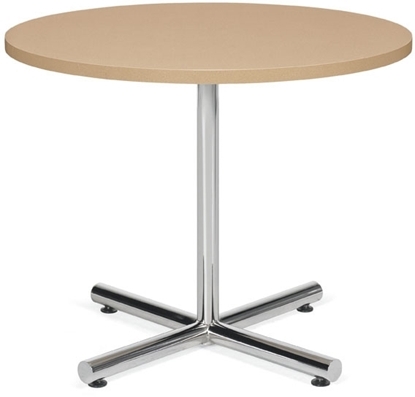 A simple solution to your office's lunch room needs, this 36" round table offers 4 different color tops to choose from and includes 4 trapezoidal back styled chairs. The chairs feature a 500 lbs weight capacity. Order yours today and get free shipping! A simple solution to your office lunch room needs, this 36" square table offers 4 different color tops to choose from and includes 4 trapezoidal back styled chairs. The chairs feature a 500 lbs. weight capacity. Order now and get free shipping! A simple solution to your lunch room or break room needs. This table and chairs set includes 4 burgundy upholstered ladder back chairs and is available in 4 different top colors. A great combo unit that solves the needs of any office lunch room. This set includes a Table, that is available in 4 top finishes, and comes with 4 ladder back chairs with a black seat. Order this set today and get free shipping! Add functionality and durability to your break room with this 30" square table. 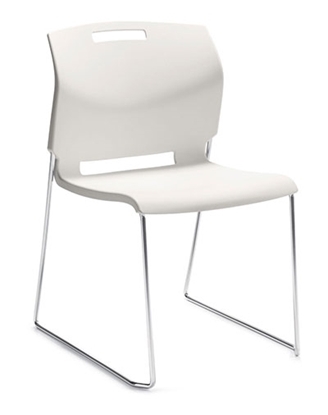 The Bistro CA30SLB lunch room table is ideal for small spaces and can seat up to 4 people. 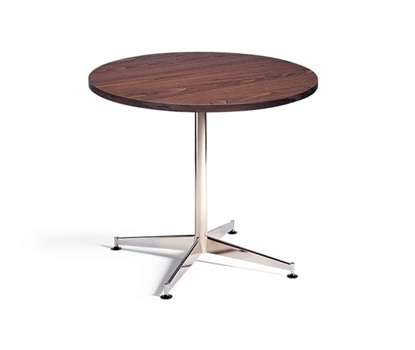 Add a more contemporary look with this space saving 30" round lunch room table. The Mayline Bistro CA30SLS features a stainless steal square base and durable laminate top. 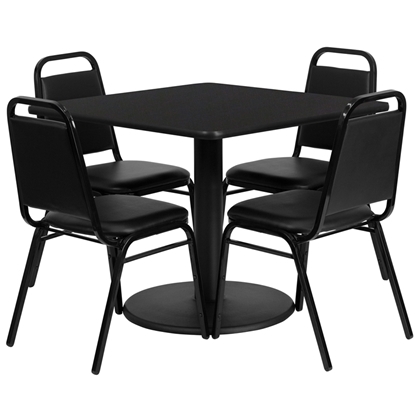 A durable 36" square lunch room table, the Mayline CA36RLB features a cast iron base with 3" diameter steel tube support for added strength and sits 4 people comfortably. 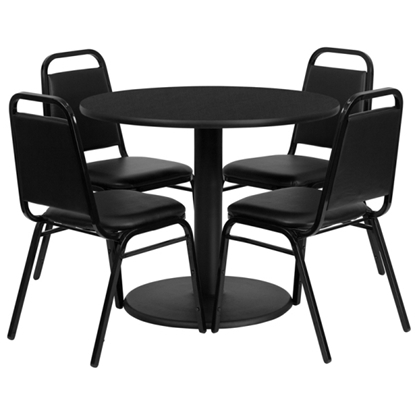 Avoid sharp edges with this durable 36" round lunch room table. This table typically seats 4 people and works well in dining rooms and activity rooms. 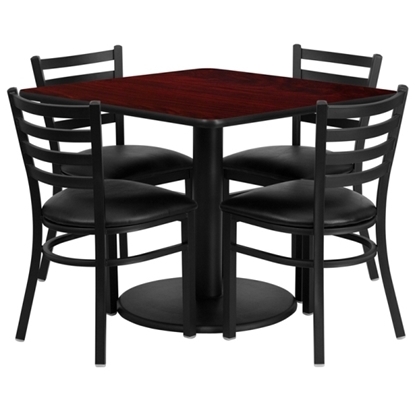 A 42" round lunch room table, the Bistro CA42RLB by Mayline features a durable cast iron base with 3" diameter steel tube support. This large lunch table provides plenty of room for people to eat and relax. 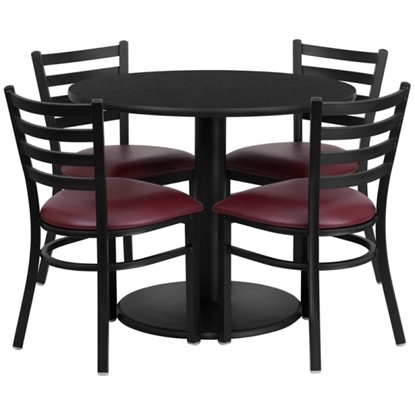 The Bistro 42" round table is designed to maximize space. This lunch room table offers a modern style and square stainless steel base. Perfect for an office lounge or dining area. The Bistro by Mayline 36" square lunchroom table. This dining table features a contemporary flare with its square stainless steel base. Seats up to 4 people comfortably. Designed for an office lounge or break room. A contemporary styled 36" round table by Mayline. 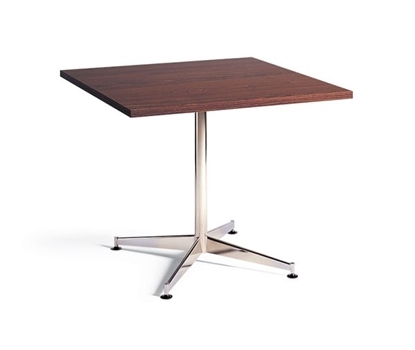 The Bistro CA36RLS lunchroom table features an easy to clean laminate top, and attractive stainless steal base. Perfect for an office lounge or dining area.